█ Note: the online survey is anonymous. The Dunedin City Council today released an online business survey to check how its services are being perceived by Dunedin’s business people. The DCC committed to introducing a proactive and business-friendly approach across the DCC when it launched Dunedin’s Economic Development Strategy in 2013. The online survey asks Dunedin business people to think about the service they have received from DCC staff over the past eight months. The survey results will be compared with the answers received by the DCC’s Enterprise Dunedin business unit from the first survey which was launched in April. The survey specifically targets businesses which had direct contact with the DCC over the past eight months – those identified will receive an email asking them to complete the anonymous survey. General Manager Services and Development Simon Pickford says the survey will help to gauge where things have improved and identify areas that still need to be addressed. Mr Pickford says that in the past the DCC’s business friendliness hasn’t been well measured but this new measure is a further step toward solving that problem. █ The survey will close on 11 December 2015 for analysis. Contact General Manager Services and Development on 477 4000. █ Read the report (dated 20 May 2015) for the last business survey here. Several more blocked drains seen later on Friday and also more on Saturday, including some so bad they were flooding right across the road. And today in the ODT we have the Mayor slapping ratepayers across the face again with the laughable claim that rate rises are due to rises in the cost of bitumen and pipes. Considering how much is spent on bitumen and pipes, compared to wages and interest, that sounds [like as] big a lie as “the drains are properly maintained”. The ODT should call Mayor Cull on this – because blaming year after year of rate rises on the costs of bitumen and pipes sounds like a big fat lie. “Taking the kids to school this morning, the drain at the end of our road is blocked and water is flowing across the street. So I started counting blocked drains on my short journey to Queens and Tahuna schools. Grand total – 14 blocked drains, including three bad enough for large amounts of water to be flowing right across the street. Similarly a relative’s business in town has been flooded several times, every time because of blocked drains. Often they are left with the choice of going out in the rain to unblock it themselves, or hiring a private contractor to suction-pump it. Because even though the DCC know it’s a problem, they still don’t maintain it. Several more blocked drains seen on the way into town, including two so bad the water is flowing right across the road. And it wasn’t even raining very hard at that stage. At least three of those flood across the road very time it rains hard – ie 10-20 times a year. 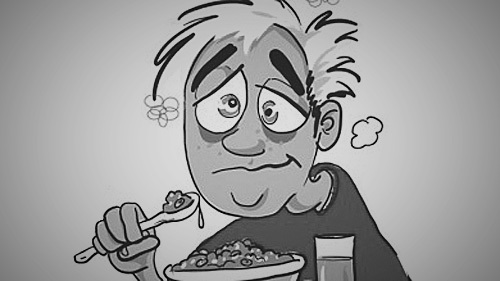 Sat, 28 Nov 2015 at 5:35 p.m. Sent: Sunday, 1 November 2015 10:10 a.m. I have been reading the annual reports of Dunedin Venues Management Ltd (DVML) and am somewhat uncertain as to the true position regarding the matter of charges/fees for the use of the Stadium. We were given a detailed report in the 2014/15 Annual Plan wherein it [was] disclosed that the DCC/ratepayers would be making a one off lump sum of $2.271m to DVML by way of calling up unpaid capital. Then there is to be $715k per annum paid also by way of calling up unpaid capital. An event attraction fund of $400k per annum, source ratepayers? These two annual sums are I believe revenue to DVML. We won’t talk about the later decision to fund $2m per annum as a rent subsidy to DVL, due to DVML’s inability to meet the $4m rent required towards DVL’s debt reduction. There is no mention of the Stadium in the 2015/16 Annual Plan with any reference to funding shortfalls even though both DVML and DVL continue to run deficits. Zeroing in on sports events held in the Stadium (because that is its primary purpose) I see that in 2013 there was (sic) 44 events attracting 205,511 attendees. In 2014 there were 39 with 206,123 there and in 2015 for 33 events 174,575 turned out in support. DVML showed revenue of $6.085m in 2012 and $8.205m in 2013. These were of the Stadium only, thereafter it includes the Edgar Centre, the DCC Convention Centre plus the Ice Stadium management. This brought about an increase in revenue to $9.127m for 2014 and $9.960m in 2015. Similar pattern for the operating expenses over those same years. 1. The main events being rugby, which of the ORFU, the Highlander Franchise or the NZRFU staged what events over those years? What was the rental received by DVML from those respective bodies per event and do they figure in the revenue statements? 2. What was the amount of revenue received from the other lesser codes which used the same facilities? With respect to the Operating Expenses outlined in the reports, 2012 as $3.862m, 2013 $3.589m, 2014 $4.361m and 2015 $5.407m. 1. Of those expenses I would request under the [LGOIMA] the amounts of those expenses which could be described as paid inducements or subsidies to perform in the Stadium, albeit sports and concerts? I trust that this information could be made available within the statutory twenty-one days and thank you in anticipation. 1. The main events being rugby, which of the ORFU, the Highlander Franchise or the [NZRU] staged what events over those years? What was the rental received by DVML from those respective bodies per event and do they figure in the revenue statements? The rental received for these events is withheld under section 7(2)(h) and (i) of the Local Government Official Information and Meetings Act 1987 to allow DVML to carry out commercial activities without prejudice or disadvantage. The revenue received for these events is withheld under section 7(2)(h) and (i) of the Local Government Official Information and Meetings Act 1987 to allow DVML to carry out commercial activities without prejudice or disadvantage. The expenses incurred and event attraction funding for these events is withheld under section 7(2)(h) and (i) of the Local Government Official Information and Meetings Act 1987 to allow DVML to carry out commercial activities without prejudice or disadvantage. You are entitled to have this decision reviewed by the Ombudsman. You will have been aware of my queries expressed recently via the [LGOIMA], re the DVML revenue [breakdown]. a complete ‘cop-out’ by a less than forthright person. Unless there is detail showing activities detrimental to achieving maximum returns to the company, then I find it a disingenuous and rude dismissal of an honest request. Sue, I am dissatisfied with his response but if you think it is the way it should lie, then I would be deeply disappointed. I would appreciate your comments as I treat this as a serious affront. █ In other developments, ICC felt the need to secure games for its stadium. What have Terry Davies, (“make it work”) Dave Cull and Sue Bidrose been up to in behind ? A group of South Island private investors has been granted a five-year licence to run the Highlanders. The group, headed by Ticket Direct boss Matthew Davey, has taken a 77% stake in the Dunedin-based Super Rugby franchise, with Otago, Southland and North Otago Provincial Unions having a 13% stake. New Zealand Rugby (NZR) retains a 10% share for the first two years. 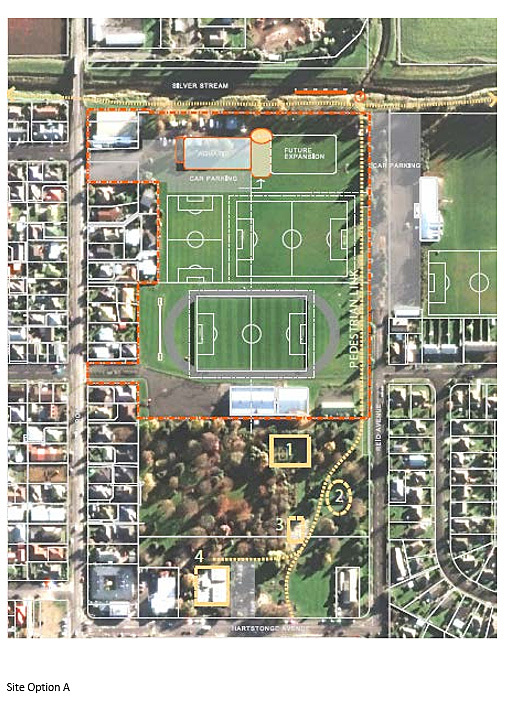 The Invercargill City Council has underwritten the venture to the tune of up to $500,000 in return for one guaranteed game at Rugby Park each year for the next five years. Matthew Davey says the Highlanders helped make him – now he is ready to help return the favour. The Dunedin businessman says he started the company he founded, Ticket Direct, at Carisbrook in 1999, and it has since grown into a multinational entity based in Dunedin. 22.11.14 ODT puffery for stadium rousing ? 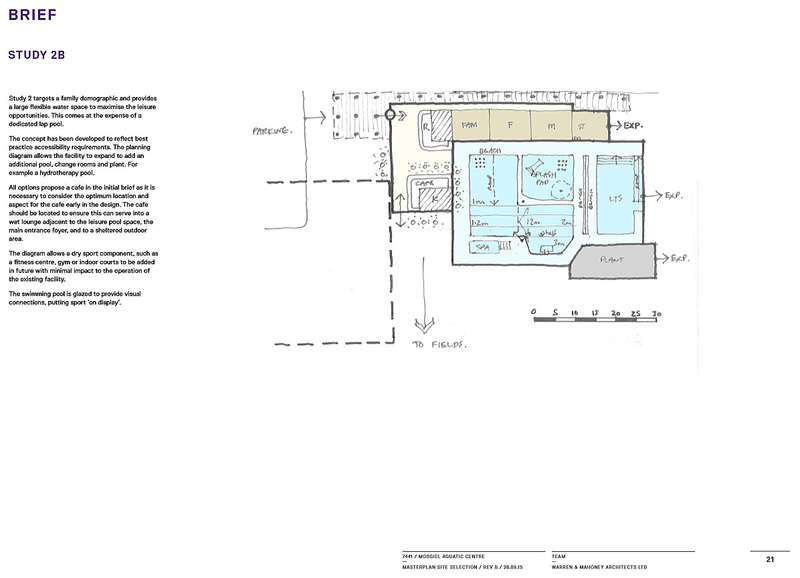 22.7.14 DVML catering and commercial kitchens…. ● 11.12.13 Highlanders “Buy Us” entertainment: Obnoxious, noxious PROFESSIONAL RUGBY —stay away DCC !!! There will be no open inquest into the death of former Dunedin City Council Citifleet team leader Brent Bachop. Instead, the death of the man found to be at the centre of the council’s $1.5million vehicle fraud is being dealt with in chambers, the Otago Daily Times understands. The Faerie Queene is an incomplete English epic poem by Edmund Spenser. The first half was published in 1590, and a second instalment was published in 1596. *Image: bbc.co.uk – Isabella Salstonstall as Una from Spenser’s The Faerie Queene. 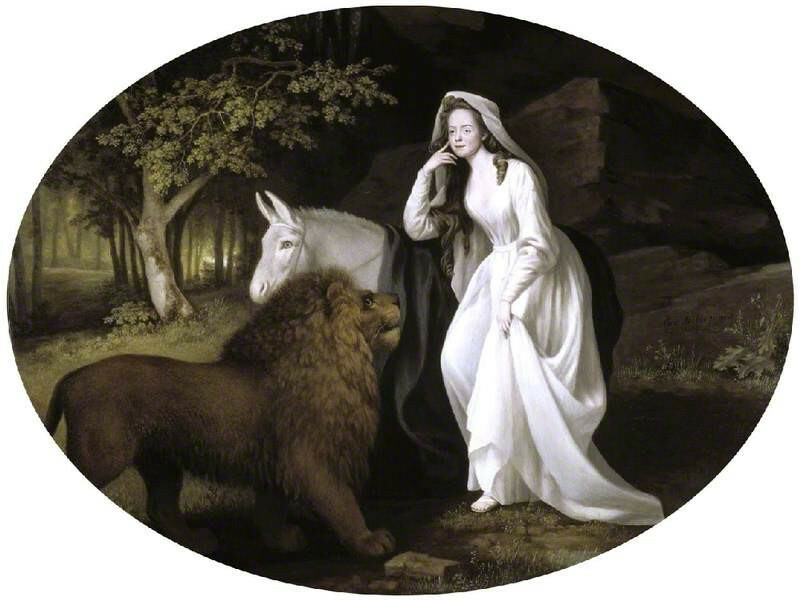 The Fitzwilliam Museum via The Public Catalogue Foundation. 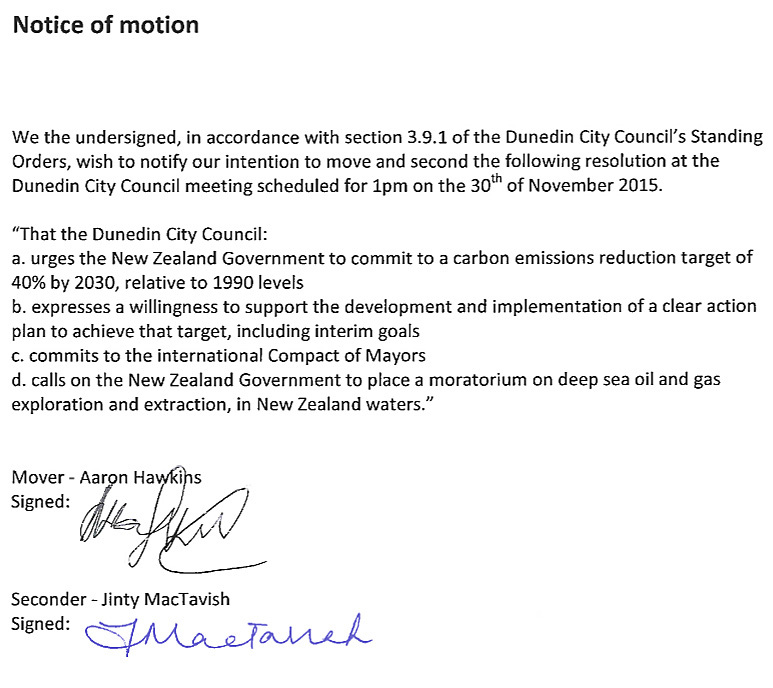 █ Full Council Meeting Monday 30 November 2015 at 1:00 p.m.
Other Reports to be tabled. 1. 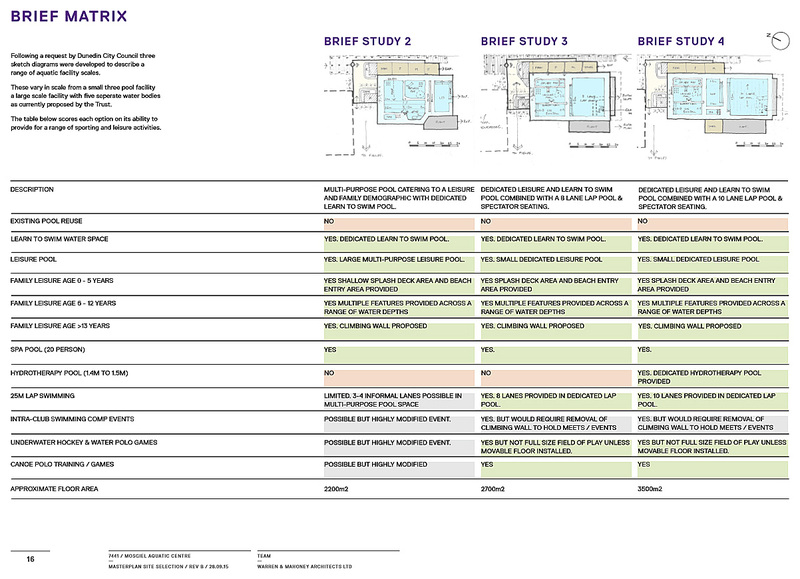 This report presents high level concept design options and associated capital and operating costs for a new aquatic facility in Mosgiel. A decision is required on which, if any option should be progressed to developed design stage to enable more detailed operating costs, capital costs and whole of life cost options to be developed. 2. Staff have conducted a robust process, assisted by aquatic facility development and operation experts, using architects and quantity surveyors with substantial aquatic experience (including Selwyn) and with the input of Sport New Zealand. Despite this, and whilst reaching agreement on a preferred site, there is a fundamental difference between the staff position and that of the Taieri Community Facilities Trust (the Trust). 3. 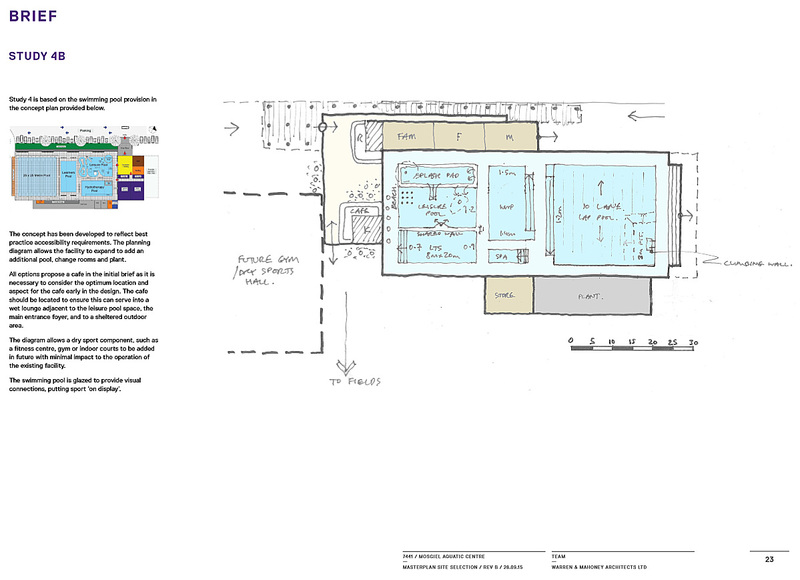 Council staff consider they can deliver a high quality aquatic facility containing two bodies of water that provide for casual recreation (leisure), casual fitness (lap swimming) and learn to swim that will be valued by the Mosgiel community. The Trust does not agree. 4. The estimated total capital cost for this option is approximately $14.4m, based on benchmarking, which can be refined and reduced through developed design, value management and procurement processes. 5. The Trust position is that for the same amount of money, ie approximately $14.4m, a four-pool proposal, as presented in 2014, can be delivered. The staff assessment of this position is that the capital cost is more likely to be approximately $18-20m, based on feedback from Sport New Zealand and the quantity surveyor. a) Decides that Site A, located adjacent to the existing Mosgiel Pool is the preferred site for the development of a new aquatic facility. 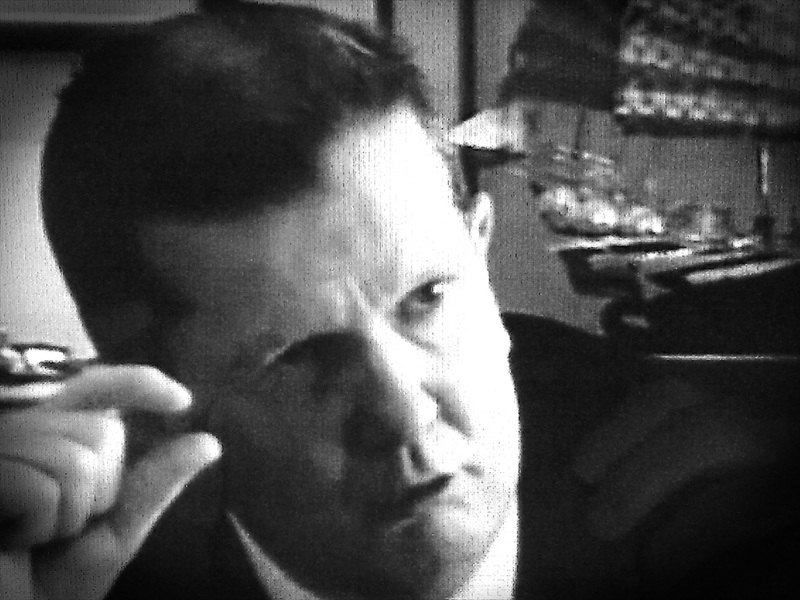 b) Directs officers to progress the option of two bodies of water, delivering leisure, lap and learn to swim activities through to developed design including further refinement of capital costs, operating costs, and the development of whole of life facility costs, and report back to Council in May 2016.
c) Notes the estimated capital cost of the current concept for two bodies of water is $10,458,000 (buildings, siteworks and infrastructure) plus $2,379,500 (fees, consents, furniture and equipment) plus $1,567,000 (project contingency and ground improvement provision); a total of $14,404,500. d) Notes that the estimated capital cost excludes an escalation provision, currently estimated at 2.8% per annum for the three years until the Council funding is available. 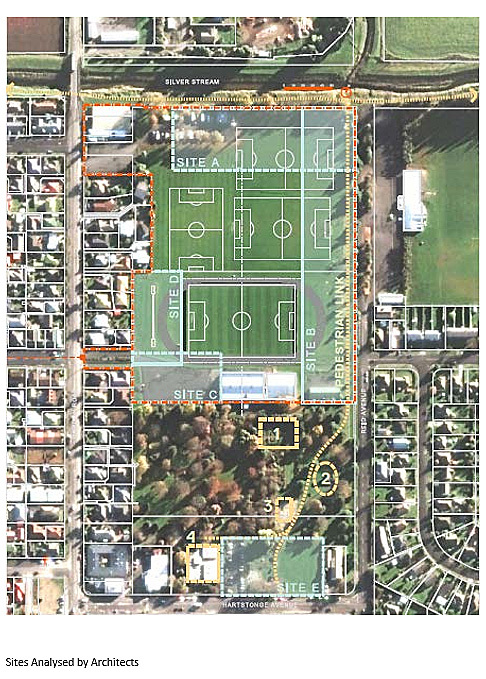 e) Acknowledges the continued commitment of the Taieri Community Facilities Trust to the project, through their participation in the steering group and input into the concept design process. 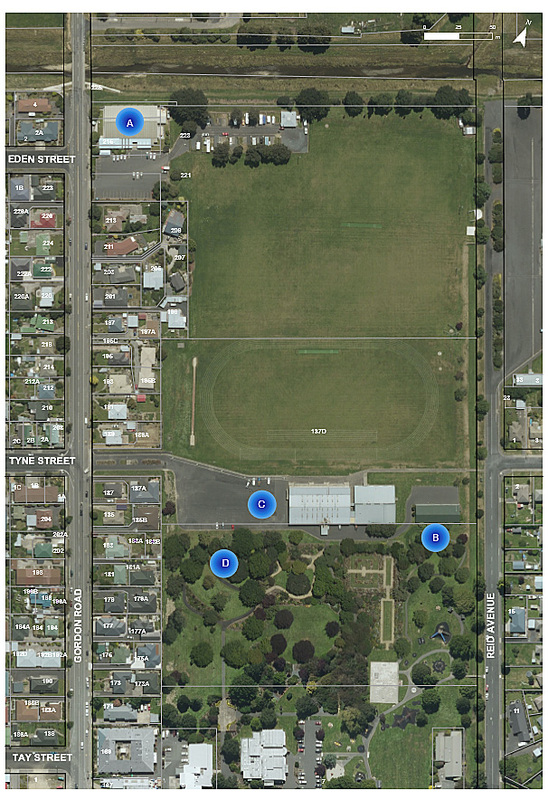 Feedback on Taieri Community Facilities Trust Feasibility Study (November 2014), Warren & Mahoney Architects (WAM) and Barnes Beagley Doherr (BBD) Master Plan and Cost Estimate (September 2015). – What needs assessment and demand are evident and directly related to the size, scale and component mix for the facility required? E.g. need for a FINA certified 10 lane competition pool. – Confirmation of the likely and sustainable catchment that the centre will serve? 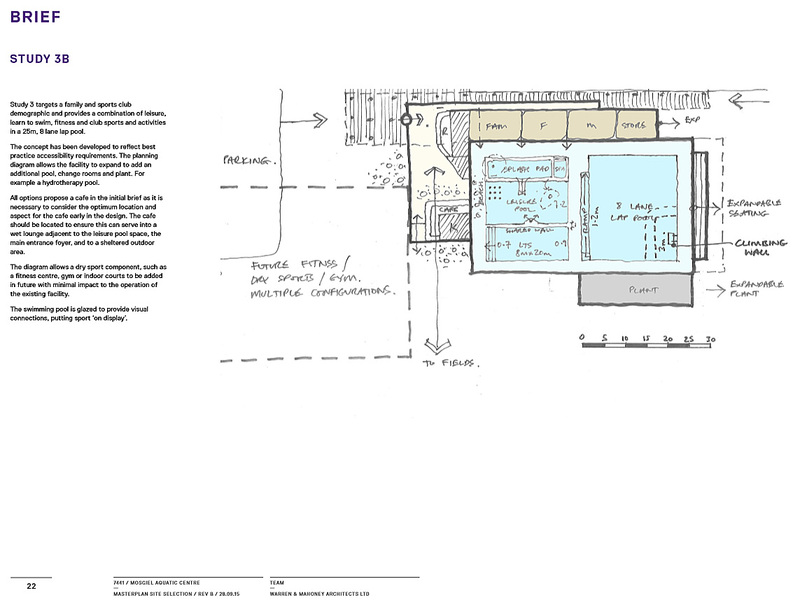 – The impact of the proposed facility on the existing aquatic network? – What is the projects full capital cost and whole of life affordability for the community? 3. Site and location – It is agreed that Memorial Park is the preferred site for the development of a new aquatic centre. The Feasibility Study promotes the use of a site that impacts significantly the existing Memorial Park Gardens. This option seems unnecessary given the other options available at the park to DCC. Of the subsequent locations within the park proposed by Warren and Mahoney Architects (20.09.15) those sites favoured are those that enable the existing pool to operate during any development period, impact adjacent residents the least, provides multiple points of entry, maximises existing car parking and allows for future expansion should be considered. In this context Site A and Site B are favoured. Site A may offer the opportunity to upgrade and integrate the Caravan Park operation into the new facility, management model and provide a positive revenue stream for the centre. 6. Funding Strategy – the expectation placed on the Trust to raise 50% ($7.5m) of the capital cost of the project is considered unrealistic and unfair. Despite the optimism of the Trust would be unachievable by the second half of 2016 as identified in the Trusts timeline for achieving the pledged funding target. Undoubtedly, this would place extreme pressure of exiting funding agencies and fundraising organisations delivering alternative community outcomes and services for some time. One needs to ask the question – is the same expectation places on communities of interest to raise 50% of funding for developments of public libraries, community halls, sport parks and other public amenities? Conclusion, the size scale and complexity of the proposed aquatic centre seems to address the wants rather than the needs of the community. Justification of the overall component mix, the need for 10 v’s 8 lanes, competitive aquatic sport needs v’s wider community recreation, wellness and entertainment (youth and older adults) would benefit from closer consideration given the significant level of investment under consideration. The size and extent of the projected catchment population may be inflated and with minimal consideration given to the impact of the new centre on the existing aquatic network of facilities and in its current form designed to compete rather than compliment Moana Pool. The assessment of capital cost seems consistent based on similar south island projects and assessment of construction rates without due consideration to those costs currently excluded. The projected operating budget is not inclusive of all relevant costs (debt repayments and depreciation) nor does it consider the whole of life costs for the assets which will require the need for an ongoing level of operational subsidy. 18.5.15 NEWSFLASH —Mosgiel pool, tracking [PONT] . . . .
12.4.10 High-performance training pool at stadium? Dave doesn’t know whether to swallow his kornies or not. His hair is turning grey, he’s feeling tired and he looks old. Meanwhile, someone files divorce papers. Secretly, young woman seen rubbing hands with glee at so much dosh. DCC receives $millions for landfill dumping of hazardous waste, WHO CARES ABOUT GREEN except for the imprint of Serious Money to bolster Council slush funds, rugby? stadium ? cricket ? – anyone ? NOO! For Sue’s next trips to Oxford, staff’s Grand Central City Plan, and some left-over to pay planning fees and charges for the VB’s aquarium, hotel and connector bridge to the waterfront. There are no serious equitable plans to improve South Dunedin or Mosgiel drainage systems, or manage coastal erosion. The dilemmas of High Office and short men. Cheaper to dump hazardous waste at Dunedin than at Canterbury. DCC stoopid again, takes a cheap ride instead of bumping up contract price. Deals worth millions of dollars —council staff cite commercial sensitivity. Up to 12,000 tonnes of asbestos-contaminated fill from Canterbury is destined to be dumped in Dunedin, but that might just be the tip of a toxic – but lucrative – iceberg. The Otago Daily Times understands the Dunedin City Council has more than one contract to accept contaminated material from outside the city at the Green Island landfill. 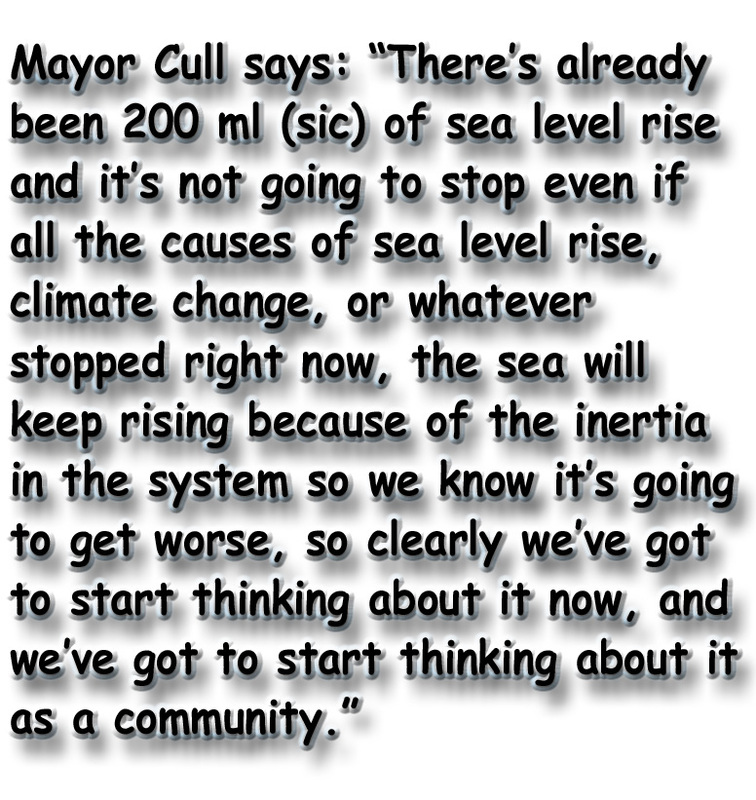 Source: RNZ News: South Dunedin considers sea level threat. Hype O’Thermia: YouTube and Wikipedia are good places to find out more about ICLEI. ICLEI teaches the DCC how to inflict the Sustainable Development world view on the citizens by using devious, undemocratic, secret and manipulative methods. ICLEI has helped the DCC to produce “marketing and communication” strategies to break down barriers to their deeply stupid ideas being accepted by the public. The goal is “behaviour change”. East Germany had the Stasi (Staatssicherheit), now we have ICLEI, Dave Cull and Sue Bidrose. The influence of ICLEI explains a few things – like the DCC’s tendency towards increasingly secret (staff only) decision-making (eg the development and implementation of the Environment Strategy) and the generally severely deficient level of public consultation due to: skimpy information, poor publicity, expanding decisions beyond the scope of the consultation and treating it as just a ceremonial procedure (eg Dave’s Bicycle Network and its implementation). The pursuit of ICLEI’s goals is a direct cause of the underfunding of the city’s deficient (and worsening) infrastructure. As far as I can tell most DCC councillors don’t know that the DCC has become a member of ICLEI and are unaware of the financial cost and its big influence in forming DCC policy. This demonstrates a problem with the attitude of the staff that councillors need to fix. The collusion between Dave Cull and Sue Bidrose is, however, a barrier to this that needs to be overcome. Councillors need to stop sleepwalking and start to become aware of the decisions that are being made without their involvement.